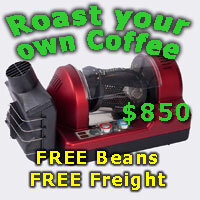 I am hopeful that it is possible to get a quality machine AND grinder for $1,500. I would be open to second hand however, given my very limited knowledge I am not sure how I can ensure I buy a quality, well maintained and looked after machine. Given all your requirements except the last two I'd say go for something second hand, for $1500 we see good machine/grinder combos popping up every now and then (e.g. E61 HX). You don't have to be an expert to tell if a machine is in good nick, if you can see it produce a shot in person and can read up on the machine then you should be able to get a pretty good idea. You probably want a timer/smart switch (I've got a couple of xiaomi ones, you can get them for <$20 and they have all the features you need). Most good non-appliance machines require 20-30+ minutes of heating time. Tend to agree with Agrajag’s message. I went from a Sunbeam 6910 to a 2nd hand Bezzera BZ02 and don’t regret it for a second. My next step is upgrading to an E61 machine. I guess it depends on what your priorities are among the criteria you mentioned. If getting the best possible coffee your priority then make those small compromises in other areas and go for the 2nd hand E61. The main challenge there is finding one. They don’t come on the market as often as the appliance machines. If you are after something new then maybe look at the Lelit range. No experience myself but they look to have some good alternatives to the appliance brands. Thanks. I should have clarified - when I said simple I meant more in terms of functionality - i.e. does not have a bunch of additional features and functions that I wouldn't use but create additional parts to breakdown. It was more about maintenance and ongoing care than operation. I have read some good things online about the Lelit Victoria. Any views on this from people who have used it?